RM Board member Devin Montalto. 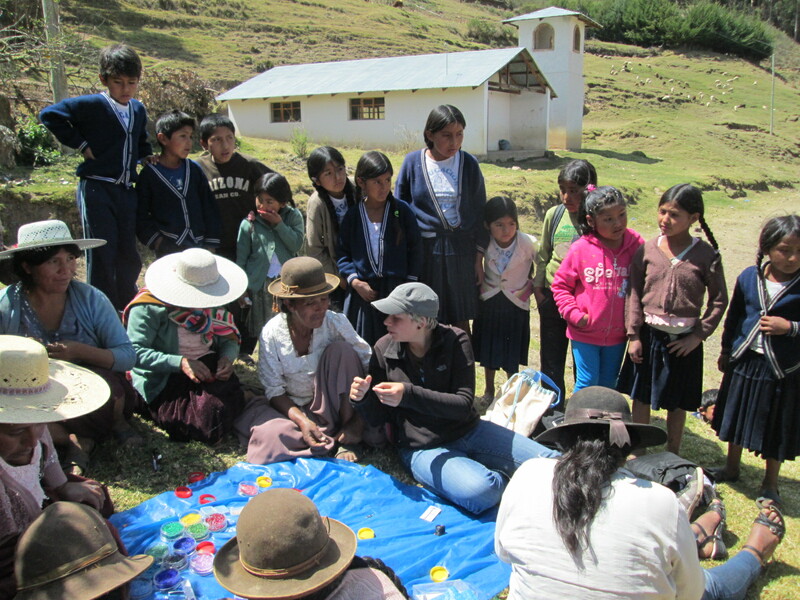 Amanda has offered jewelry making classes for 3 consecutive years. 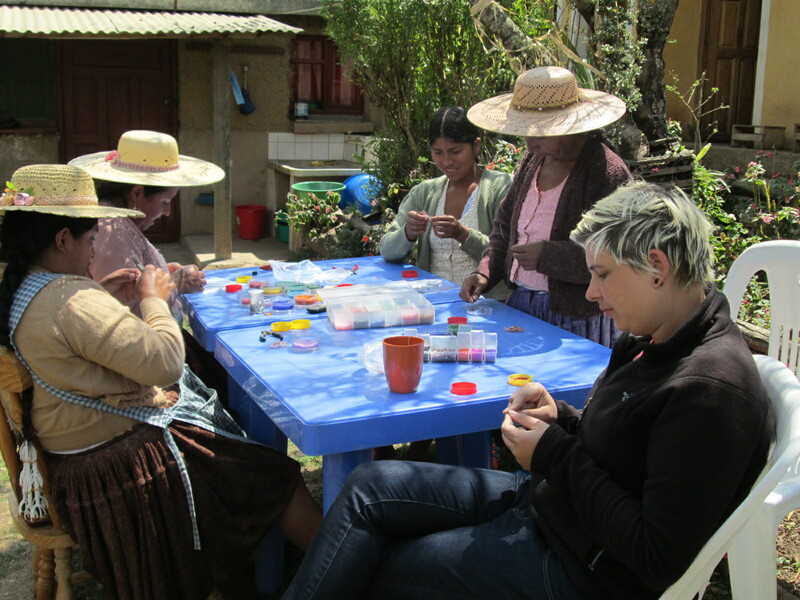 The past 2 years she taught wire working techniques, this year the women in Club de Artesanas and weavers of Huancarani learned introductory bead weaving techniques using brick and ladder stitches to make hoop and dangly earrings. They loved ‘em. 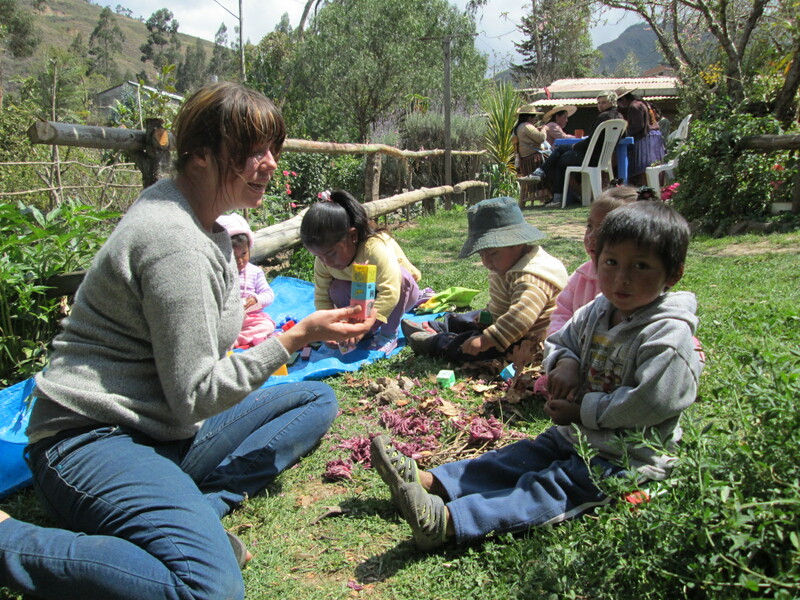 Devin worked with the little kids allowing the mothers peace and the opportunity to focus on their jewelry making. There were 4 half days of classes for chicas ranging in age from 14 to 17. This year for the first time we invited a group from the Don Bosco high school. 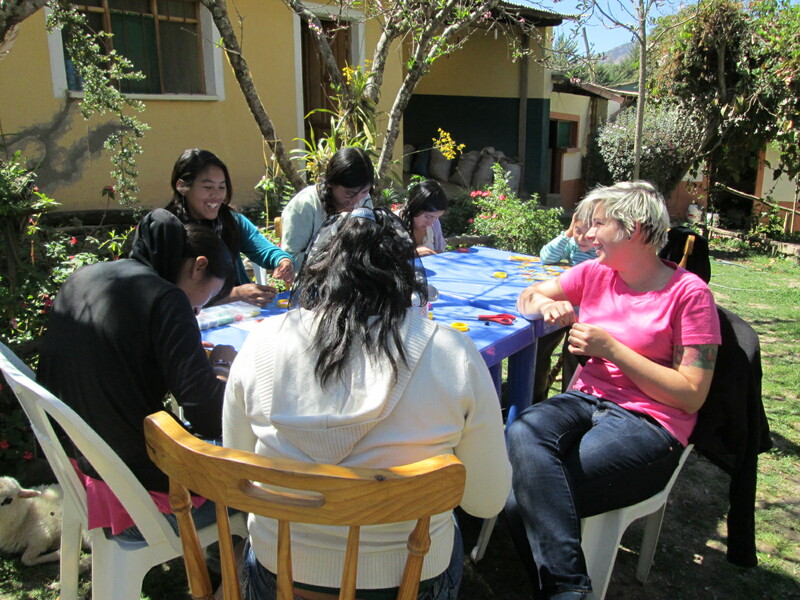 We did not plan a workshop in Chuñavi Chico this year, but Amanda offered to teach a Sunday course for anyone interested. Doña Paulina Quiroz a stalwart PAZA partner since 2008 arrived at the door with her youngest son and 14 year old José Luis who substituted for his mother who loves earrings but couldn´t make it into town. Ruraq Maki generously covered the transportation expense to travel to Huancarani for a workshop. Because it’s not vacation many of the women couldn’t spend the day at the workshop because there’s nobody to pasture their flocks. Doña Eulalia recently purchased a flock of goats and we waved as she walked past, however she left them with another woman once they reached ample grazing and came flying down the hill her face alit with a huge smile to join us. The homesteads are isolated and social opportunities are rare so the women relish a chance to get together and still be productive. We met at the soccer field by the school so the kids joined us at lunchtime and after school. However, their priority was to check out the new litter of piglets over the wall from where we sat before seeing what we were up to. 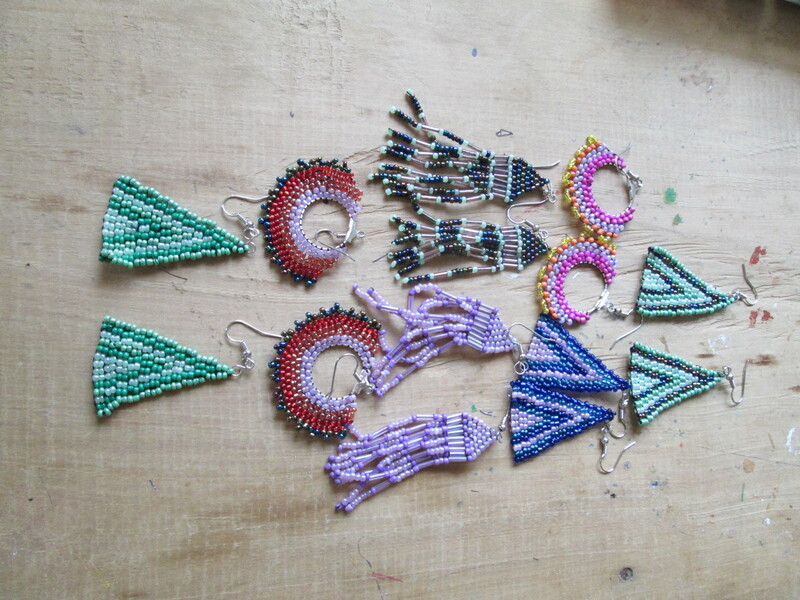 One young girl had the confidence to sit down, ask for help, and began making earrings. 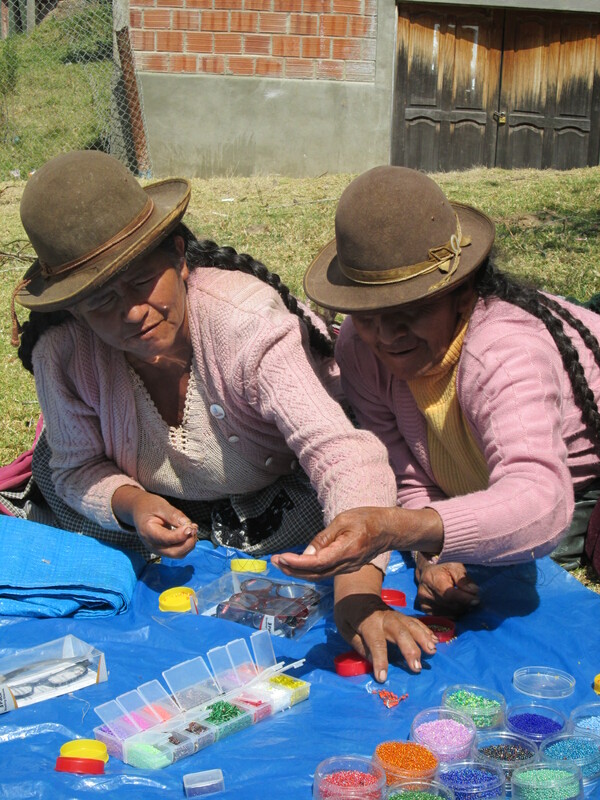 Although I´d taken reading glasses the women weren´t comfortable using them, so Amanda and Doña Máxima spent a lot of time threading the beading needles. The staggered arrivals of the 8 participants kept them both busy as the day flew by. Two weavers arrived too late to make earrings but in time for the communal lunch. 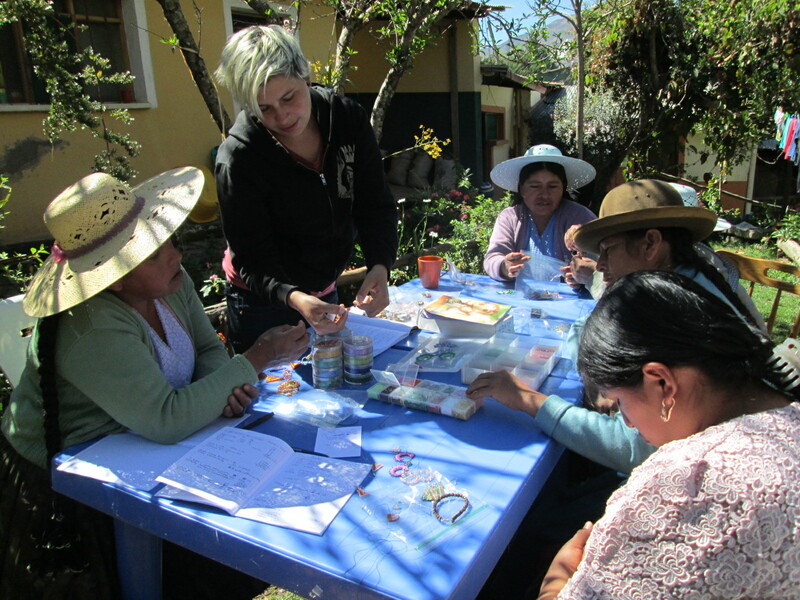 At the final jewelry making workshop with the women in the Club de Artesanas, Amanda helped them with pricing the earring they made this year to sell locally. 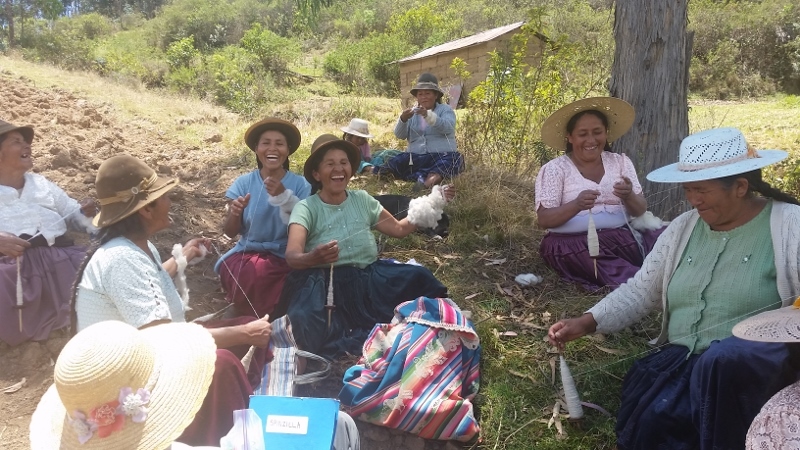 Doña Maxima was left with homework which is the responsibility for overseeing the production of earrings to sell at the PAZA booth at the harvest fair in May. 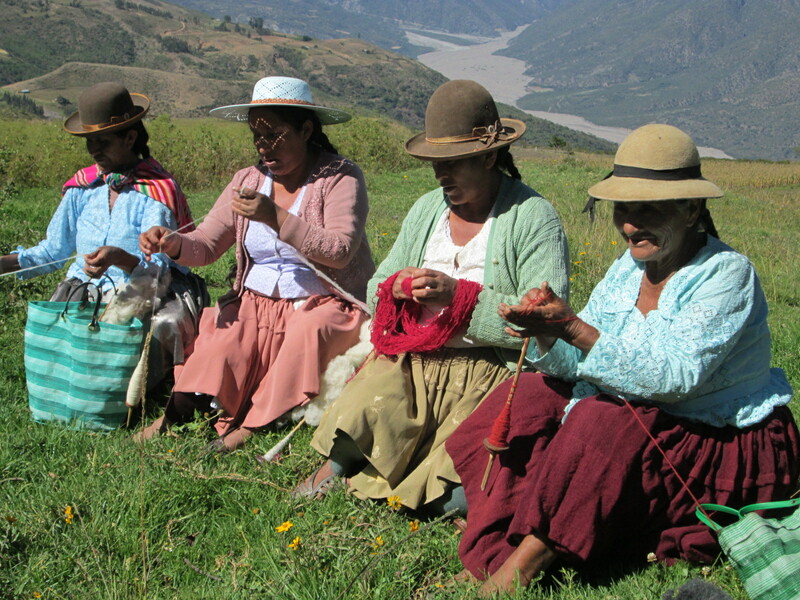 The weavings don´t sell well so our participation at local fairs has been erratic through the years. sell. PAZA developed 2 sizes of yoga straps during 2013. Samples of two new product designs for 2014 are being made in Cochabamba by our designer/seamstress who sews all the PAZA products. These products may be purchased through the Ruraq Maki website.